Westlake Village Therapist: Jean Powers - Therapist 91361. Cancer Patients, Cancer/Illness Caregiver/Family Support, Family support for children with disorders. Wellness is a state of being, not just a good day. Through psychotherapy, I can help you create a place where you feel at home wherever you reside; a place where you have clear visions for yourself, your relationships and your family, and where your authenticity is cherished. I am committed to helping families and individuals progress through the challenges they face in their every day lives. When working with me, you can expect to uncover deeper insights about your inner world, uncovering the factors that may be contributing to your depression or fear. Together we will explore the issues that have been affecting you or that have prevented you from achieving the healthy life you desire. I believe that individuals, couples, and families who feel broken or disconnected from themselves or each other need a vision towards wholeness and purpose. Through therapy, I can help you put your focus on wellness, optimism and fulfillment. Want more information on life re-visioning? Check out my blog, Dialysis of Healing. Like my Facebook page and follow my Twitter to get updates on my blog posts and more information. 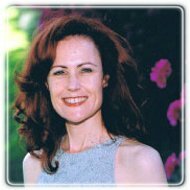 I have been a psychotherapist, LMFT, International Life Coach, and trauma and grief specialist for the past 35 years. My expertise includes grief and loss, trauma, PTSD, addictive disorders, mood disorders, and couples therapy. I believe that wellness is a state of being that can always be achieved. With me, you can create the life you have envisioned for yourself. Phone sessions are available. I am a graduate of the University of Maryland and Phillips Graduate Institute, holding a master's degree in Marriage and Family Therapy. I have also attended the Institute of Contemporary Psychoanalysis in Santa Monica, CA. I am a Certified International Life Coach, have attended the Chopra Center University and am a Certified Primordal Sound Meditation Instructor. If you are considering psychotherapy as a couple or family, we will focus on resolving existing conflicts and generating new paths. I offer appointments for individuals, couples or families in 45 minute sessions, or 90 if needed. I typically hold one session per week, but may suggest more. I offer a free phone consultation to review the issues at hand and to discuss goals that can be achieved. Please call at (805) 768-5026. If you would like to use your insurance to help pay for your sessions, I will provide monthly statements that you can use to bill them directly.